Polka dot plants (Hypoestes phyllostachya) are common houseplants with colorful foliar displays. They are highly hybridized to produce a variety of colors and types of leaf spotting. 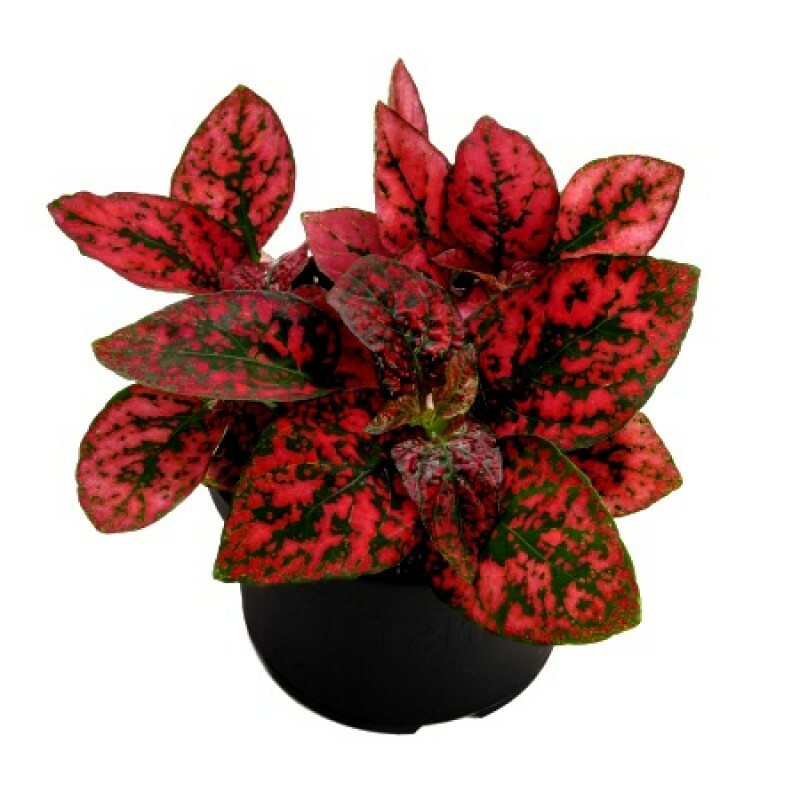 Also called freckle face plant, this houseplant can grow in any type of indirect light but has best color in lower light situations. An interesting bit of polka dot plant info is that it was miscategorized for years. It is now recognized as a member of the Hyphoestes group of over 100 plants. Polka dot plants are from Madagascar. They are perennial herbaceous shrubs whose stems get woody as they age. In its native habitat, the plant can get up to 3 feet in height. Pot grown specimens will usually be smaller. The foliage is the main reason to grow this plant. The leaves are dotted with darker spots in green and a base color of pink. Breeders have developed many other varieties, some of which have the green mottled spotting, but others are dotted with other hues. There are purple, scarlet, lavender and white speckled leaves. The Splash Series comes in a host of colors with a green base leaf and mottled splashes of color in pink, white, rose or red. There is also a Confetti Series with proper spotting shaped dots that are a bit more sparsely scattered than those of the Splash Series. Polka dot plants are well suited for indoor use anywhere but you can also grow them as annuals in temperate to warm zones. The foliage is an attractive foil for brightly colored perennial flowers and produces and attractive mound. This adorable plant looks great tucked in a planter with other foliage plants, as part of a color display with flowers, or in summer borders for added texture. Polka dot plants are easy to propagate. The freckle face plant gets small flowers and produce seed in perfect conditions. Seeds germinate in warm, moist soils where temperatures are 70-75 degrees Fahrenheit. The easiest method for growing a polka dot plant, however, is from cuttings. Remove terminal growth at a node and pull off the leaves closest to the end. Dip it in rooting hormone and put the cutting in a soil-less medium such as peat moss. Keep it evenly moist until the cutting roots and then treat it like a mature plant. The plant will give you the best color when it is in a low light situation but this causes the canes to lengthen and get leggy while searching for light. Indirect bright sunlight is the ideal location for this plant indoors. Provide temperatures of at least 60 degrees Fahrenheit. Growing a polka dot plant outside requires well-drained but moist soil with plenty of organic matter. Older plants tend to get leggy but you can control that by cutting the canes back to lower growth and letting the plant fill in.